I've been living in my flat almost a year now, and only now am I finally beginning to feel content with my space. I had so many ideas of how I wanted my home to look, but in the end, you have to work with the space, lighting and budget that you have. I love my Pinterest boards, but unfortunately, my budget didn't quite stretch to the marble counter tops and tiled flooring I dreamt about. The room that was immediately my biggest priority had to be the living room. This is the room that I would entertain guests in; relax, eat and do work in, so it had to be just right. The number one piece of advice I would give is to invest in the furniture and save with the smaller accessories. 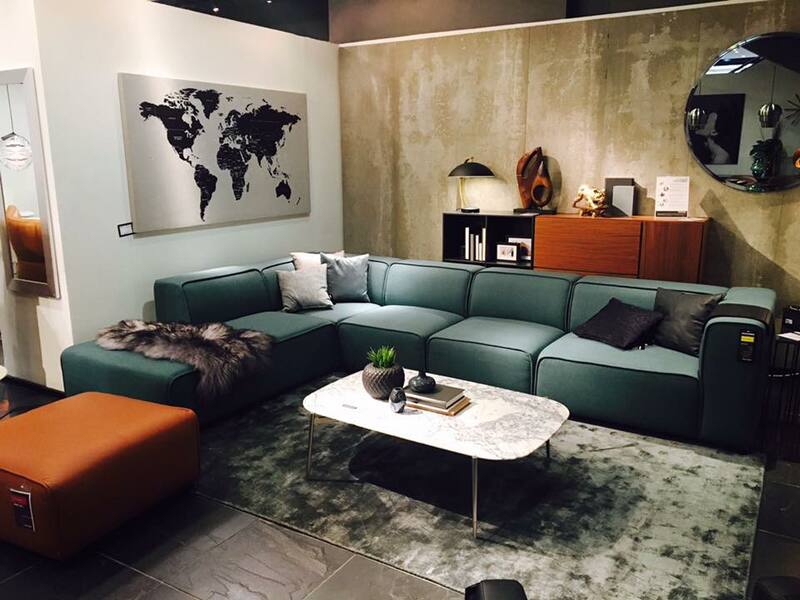 There are lots of amazing furniture stores in Glasgow and Edinburgh that sell good quality and sleek furniture. One of my favourites has to be Bo Concept. Their furniture is simple, elegant and will last the test of time. A comfortable, chic and neutral coloured sofa works really well in any living room. 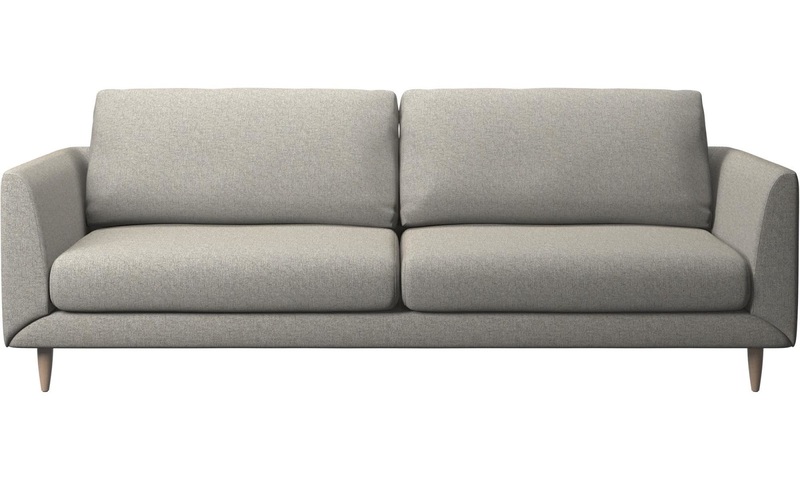 I love the Fargo Sofa! It would be perfectly accessorised with an faux fur throw or contrast with a peacock green velvet pillow to clash with mustard accessories. Another great piece to invest in is a classic sideboard. Perfectly practical, simple, chic and easy to fit into any home. 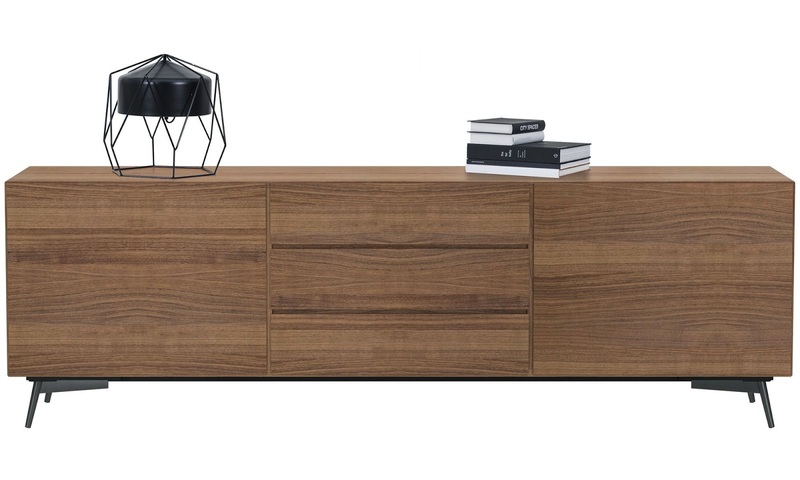 The Lugano Sideboard not only has an amazing amount of storage, it's soft-close, and the steel legs add a more modern edge to it. Obviously it can be finished in-theme with a few coffee table books and a spotlight lamp would look perfect. 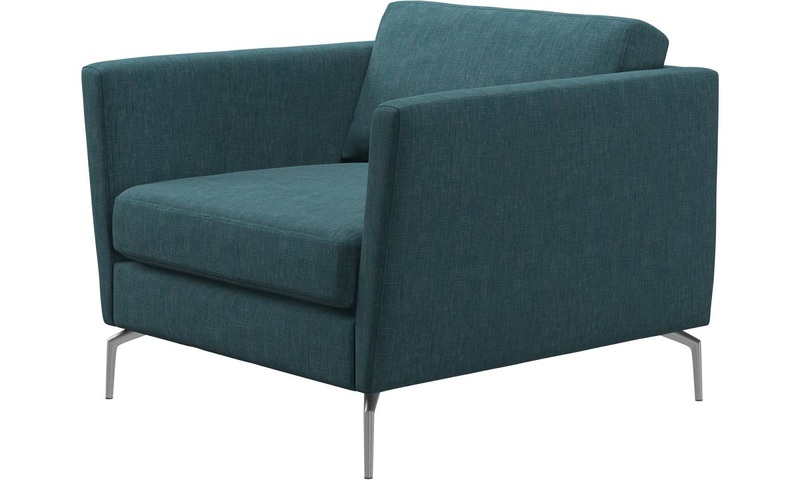 A staple armchair has been on my to-buy list since before I moved into my flat. This stunning little turquoise number from Bo Concept is exactly what I have been looking for. The Osaka Armchair is ideal for adding a pop of colour into a room without over-using a lot of mixed cushions and accessories. The fabrics can be changed easily and you can do this online or in-store with a lot of help from the experts for whats perfect for you. The masculine 60's shape of this chair is what draws me to it most with the sharp squareness but feminine detailing: I need it. Having timeless furniture is key to decorating your living space. Cushions and accessories can be replaced easily as trends come and go. High street shops such as H&M, TK Maxx and even your local Sainsbury's have some lovely pieces that will fill your living room with life. I put together some of the best homewear picks from across the high street bellow.